Is your life passing you by ? Are you so focused on your dreams that you are forgetting to enjoy every day to the fullest and be happy with where you are and what you have now ? I have been doing this for over 20 years I work directly with SPIRITS to help you FIND and FOLLOW your PATH. I will help you find solutions to your problems, rather than you running after them and try to make them happen. I will help you release negativity from your life to help you heal yourself. Every thought that we have, every action that we take, affects our world in more ways than we know. 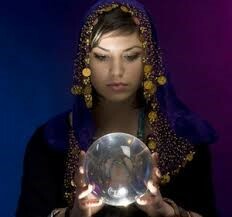 Using my psychic power I will empower you to make the right decisions. Deel zelf uw ervaring met Psychic Christina!